Want to drink and celebrate your German heritage, but don’t want to make the 5,000 mile trip to Germany for Oktoberfest? Do your best to recreate the Munich extravaganza with a fun party of your own using authentic German glassware for sale online from Germansteins.com. Our 0.5 liter dimpled Isar mug features ultra-sturdy construction with the durability to survive many drops and bumps. A think handle and convex dimples give you multiple excellent gripping options for all kinds of drinkers. 0.5 liter Isar mugs are used in Munich’s Oktoberfest, perfect for your own beerfest back home. Stake your claim in German history—order an authentic Oktoberfest glass beer mug and carry your German pride loud. Your best friend’s wedding is right around the corner, and you’re stressing over a gift. Toasters and flatware are too boring for you, and you want to get the bride and groom something memorable—something not only useful, but interesting and exciting. They are both proud Germans who constantly boast about their heritage over a glass of beer. They love drinking beer out of a glass as much as they love watching the sun set behind the Zugspitze. 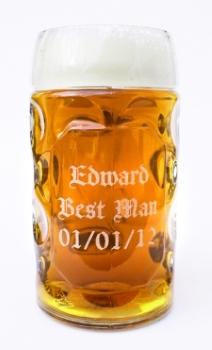 Stun them with a pair of custom engraved 0.5 liter authentic Oktoberfest glass beer steins. Mark the occasion with the couple’s names and date of the wedding on the side of the glass. They will never want to drink beer out of another glass again. We can laser engrave text, logos or images to your specifications onto our authentic glass beer steins. Engrave your family name or crest on the side and gift it to relatives to make a splash at the next birthday or Christmas celebration. Give your relatives something they’ll never forget: a personalized drinking glass to celebrate every occasion. Half Liter too small? Try one of our big 1 Liter Oktoberfest glasses! Saw these were out of stock and contacted the company about when they would be back and had a reply within 5 minutes with all the details. As soon as they were back in stock I had received an email from the same person I had spoke with telling me they were in stock, gave a timeline on when I would have 6 of these steins at my home with engraving for my wedding party. I couldn't be happier with the product itself. Made very well and will last a long time. 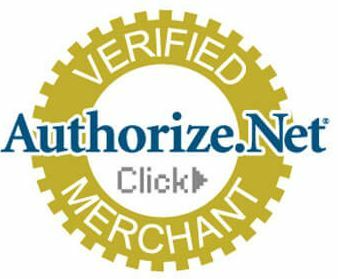 Overall a great experience, and will definitely be a returning customer. I have a home bar, where my friends often come to hang out and watch hockey and football games, we use these mugs as our "members mugs" they are great, shipping is always quick (even with engraving) and as the title of this post says they are virtually indestructable. We have dropped several as well as aggressively cheered these glasses and they do not chip or break. Only down side of the glasses is we would like to order more and the site has been out of stock for over a month, either way, these mugs a very durable and highly recommended.